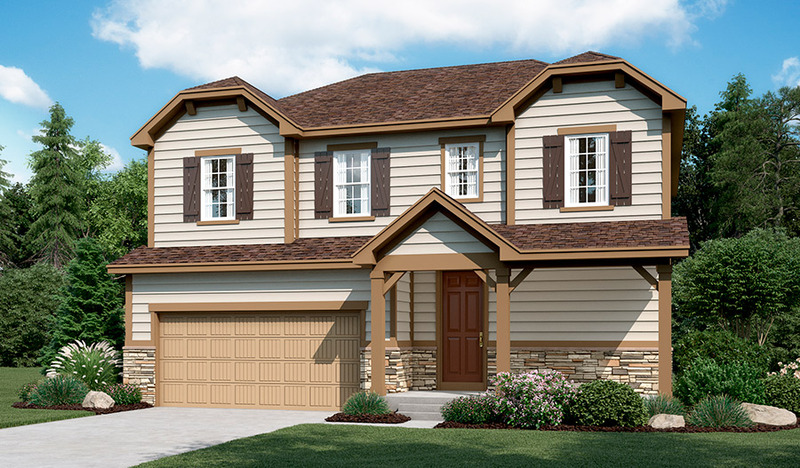 Striking stone accents and a covered front porch give this new home abundant curb appeal. The main floor boasts an open dining room, an airy great room with a stone fireplace and a gourmet kitchen featuring a double oven, center island and adjacent sunroom. You’ll also appreciate a pocket office, a powder room and a covered patio. Upstairs, discover a versatile loft, a laundry and three bedrooms, including an elegant master suite with an expansive walk-in closet and deluxe bath with separate shower and soaking tub. A finished basement adds a fourth bedroom, a full bath and a rec room. There’s still time to select your interior finishes!